GIULIANO DI IENNO was born in Guardiagrele (Italy) in 1989. He began playing the Saxophone when he was 10 years old and the Piano at 14. 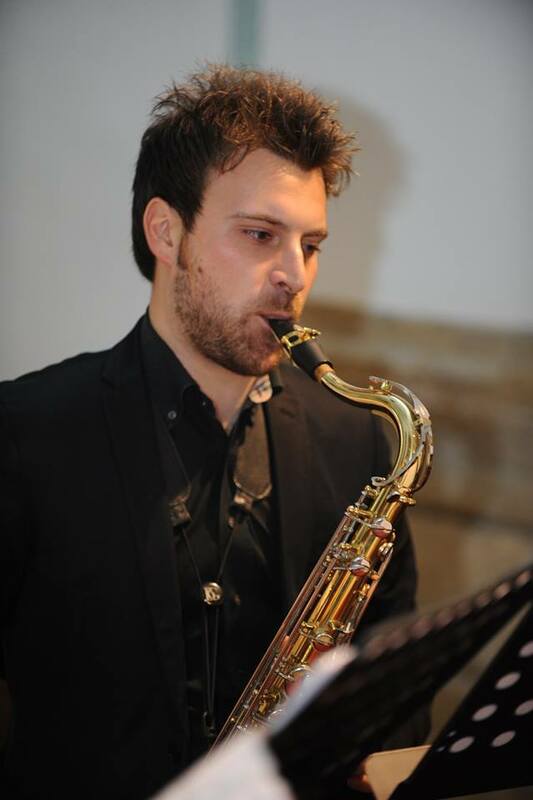 He studied at the Conservatorium of Music “Luisa D’Annunzio” Institute of High Culture in Pescara (Italy), where under Luciano Ciavattella he achieved the 1st Level Academic Diploma in 2013 and the 2nd Level Specialized Diploma in Saxophone with honors in 2015. He has participated in many International Saxophone Masterclasses deepening his musical training with the Saxophone teachers: Angelo Turchi (Italy), Maryse Boudlet (France), Francisco Martinez (Spain), Luciano Ciavattella (Italy), Gilberto Monetti (Italy), Lorenzo Martelli (Italy), Arno Bornkamp (Netherlands), Alain Crepin (Belgium), Alexandre Doisy (France), Carrie Koffman (USA), Vincent David (France) and courses of Saxophone jazz with Gianni Di Benedetto (Italy). As Saxophone Soloist he won the Musical Competition “Stand Together: musica giovane” in Città Sant’Angelo (Italy) in 2010 and in 2013, and the Saxophone Competition in Torrevecchia Teatina (Italy) in 2014. Throughout his musical career, Giuliano has performed in concert halls as Soloist with accompaniment Piano, Woodwind and Symphony Orchestra and by professional musical groups with “Frentana Big Band”, member from 2008 to 2011, “Opera Saxophone Quartet”, member from 2009 to 2015, and Saxophone octet “Eclectic Ensemble”, member from 2014 to 2015. He performed with “Opera Saxophone Quartet” on live Italian Television three times between 2012 and 2013 on the 1st National Channel of Italy (RAI 1), having the honor to have met in person and played in front of the great composer Ennio Morricone. “Opera Saxophone Quartet” performed also in Chieti (Italy) at the ceremony celebrating the 160th anniversary of the founding of the National Police of Italy and have participated in various musical competitions which have resulted in them receiving first place award in some of those competitions, such as: “Stand Together: musica giovane” in Città Sant’Angelo (Italy) in 2010 and in 2011, the Musical Competition in Spoltore (Italy) in 2011 and the Musical Competition in Penne (Italy) in 2012. Giuliano also played with the Marching and Concert Bands of Pizzoferrato (Italy) from 2003 to 2008, of Casoli (Italy) from 2006 to 2009 and occasionally in other Italian Musical Bands. In December 2004 in Civitella Messer Raimondo (Italy) he founded with his brother Angelo Di Ienno the Music School “Amici della Musica” where initially Giuliano taught Musical Theory, and from 2007 to 2015 Saxophone too. In 2007, he founded a Marching/Concert Band made up of 40 musicians at this School that has conducted in numerous concerts and other performances in Italy, among the most important: at Amusement Park Mirabilandia in Ravenna (Italy) in 2009, Saint Cecilia Day in San Giovanni Rotondo (Italy) in 2010, at Pope Benedict XVI’s General Audience in Saint Peter’s Square in Vatican City State in 2010 and at the Celebrations of the 150th Unit of Italy in Florence (Italy) in 2011. Giuliano was also the founder and conductor of the “Giovanni XXIII” Choir of Civitella Messer Raimondo (Italy) from 2009 to 2015. As of november 2015, Giuliano became a permanent resident of Australia where he plays the Saxophone with the “Vincenzo Bellini” Italian Musical Band, the St. Albans Melita Band and the Australian Youth Band. He also teaches Music and the Saxophone to students of all ages at his place of residence. – bringing out the aptitude to become integrated into professional life.